Fujitsu - AC Cordset for fi-5530C Sheet-Fed Scanner Fujitsu presents you AC Cordset. 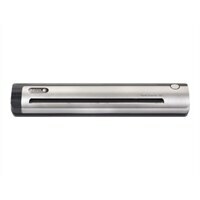 It is specifically designed for fi-5530C Sheet-Fed Scanner. Brother - DS-620 Brother DS-620 Sheetfed Scanner - 600 dpi Optical - 8 - USB DS620 BRTDS620 pg.1328. Brother - DS-720D Brother DSMobile DS-720D Sheetfed Scanner - 600 dpi Optical - 24-bit Color - 8-bit Grayscale - 8 - 8 - USB BRTDS720D pg.1328.